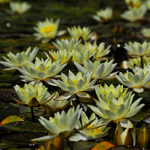 These are just a few of the hardy waterlily varieties you can find at Nelson Water Gardens. Flowers typically last 3-4 days, like their tropical cousins. Are available in smaller or dwarf varieties that are more suitable for tub and kettle gardens. Will not be damaged even in the coldest winters. 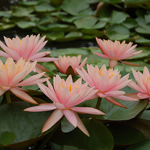 Do not bloom as well in the heat as tropical water lilies. 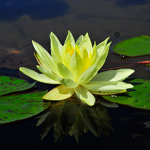 All hardy water lilies are day blooming, which means that their flowers open and close each day. The blossoms open early in the morning usually after the sun has been up for 1-2 hours and then close up in the afternoon. 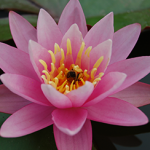 In general, most hardy water lily flowers close up earlier in the afternoon than their tropical cousins. 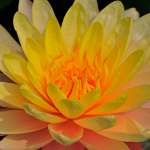 There are some newer hybrid hardy water lily varieties, developed in the last few years, that give much better results in our hot and humid climate. Here, at Nelson Water Gardens we offer our customers hardy varieties that we know will perform well in the Houston and Gulf Coast regions.